Back pain is a common phenomenon after a certain age. ‘After a certain age’ is the keyword here. If you experience terrible back pain and don’t consider yourself to be old enough to have an aching back all day long, you shouldn’t need a detective to decipher the root cause. Upgrading to a better mattress might just be your best bet. A night of peaceful sleep is followed by a positive mood the next day. Apart from all other considerable factors, your sleep and good spine health highly depend on the type of mattress you choose. I shouldn’t need to enlighten you on how enervating it could be if you are suffering from a gruelling back pain. So, what measures can you take to reduce the discomfort in your back? You can significantly reduce your back pain by just improving your posture through the day time and opting to sleep on an orthopedically designed mattress in the night. On the other hand, choosing an inappropriate mattress could not only curse you with pressure points throughout your spine but also cost you your sleep and vibe. 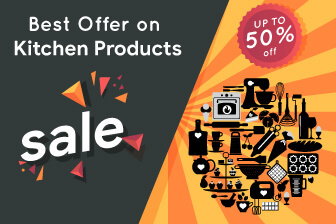 So, I’d suggest you to get rid of your timeworn mattress and opt for better alternatives that have invaded the Indian market. 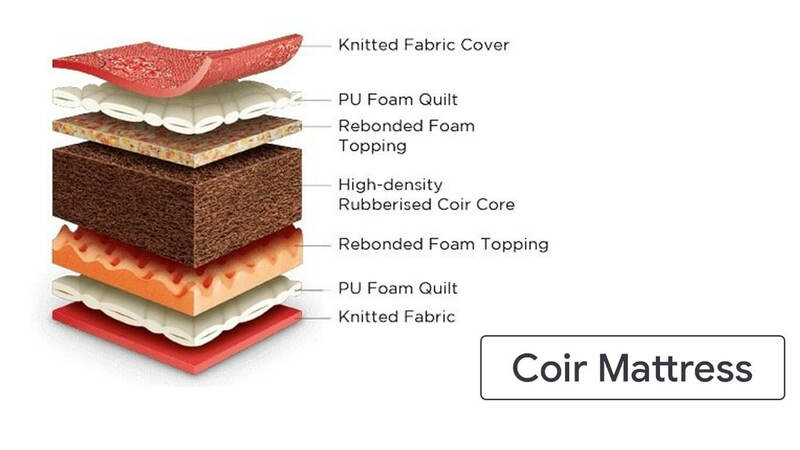 Speaking of alternatives, ‘Coir mattress’ and ‘foam mattress’ are predominantly preferred when it comes to treating a mattress-induced back pain. Both these mattresses provide adequate back support and ensure that the spine’s natural alignment is maintained through the night. While both have their benefits and shortcomings, you can select one based on the aspects you prioritize more. 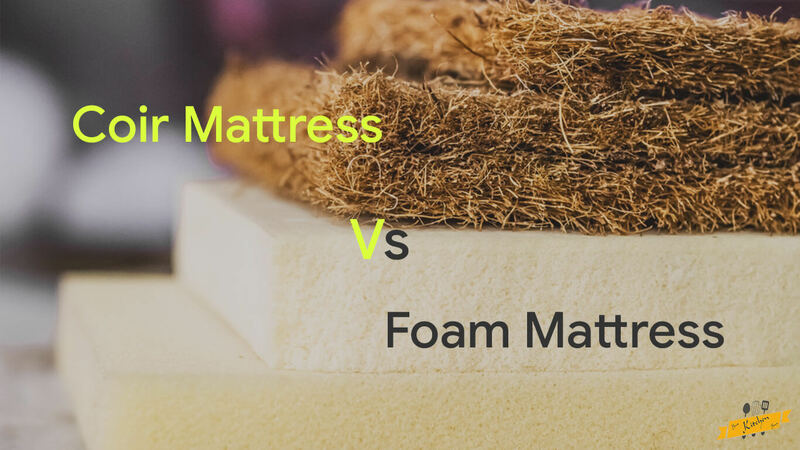 Let’s comparatively study the key differences between a coir mattress vs foam mattress. Precisely, coir is fiber collected from coconut shells. Coir is also vastly known as coconut fiber. Along with its various uses, coir also contributes to making mattresses. This coconut fiber is used in the upper and middle sheets of mattresses to make them tougher/supportive or softer depending on its required density. How does it aid back pain? Since rubberized coir mattresses are made with natural fiber treated with latex, they are firm, porous and breathable. Thus, they provide adequate support to your entire body. Owing to porous nature, coir mattresses readily allow the passage of air in and out. This property of natural ventilation renders it to be a cool sleeping surface. People with back pain could get some relief from a coir mattress as it provides rigid support along the length of the spine and thus maintains the natural spine alignment. Rubberized coir mattresses combine the right proportions of rigidity and softness to give you a soft yet supportive sleeping surface. On the contrary, there are certain negative aspects related to coir mattresses that make people cast aside the desirable aspects. There are arguments that declare coir mattresses as an unhygienic mattress. So much so, these even can attract and breed bed bugs. Also, People often complain about coir mattresses being short-lived. A coir mattress often loses its firmness and sags within a short time frame. Furthermore, any spillage can cause permanent damage to the mattress. So, that’s a big no for families with young children. The level of comfort depends on the quality and craft of the coconut fiber. A poor-quality coir mattress manufactured in a local workplace might as well become a troublemaker. A foam mattress or a polyurethane (PU) foam mattress is made from synthetic compounds derived from petrochemicals. A memory foam mattress is an improved variant that has some additional compounds to give the mattress that slow-moving tendency. For context, a memory foam mattress retains the shape of the weight added to it for few seconds before completely regaining its original shape. Foam mattresses or memory foam mattresses have gained much popularity owing to promising claims associated with them. A memory foam mattress usually softens using the body heat of the sleeper and gradually moulds according to the body contours. This leads to uniform support throughout the body of the sleeper and hence includes zero risks of pressure points. Foam mattresses initially had a tendency of heat retention which often resulted in warm sleepers. To overcome this shortcoming, gel memory foam was introduced in the recent years. This is another version of the memory foam mattress for maintaining a cool temperature during sleep. When you lay down on a memory foam mattress, you instantly comprehend that your body weight is evenly dispersed and is perfectly balanced. This aspect assists specific pressure points which eventually provides you relief from your back pain and other aches. Its smooth adjustment to your body’s contours contributes to minimizing back pain and shoulder, neck and hip soreness. Unlike a coir mattress, a memory foam mattress is durable as it holds its shape and does not easily sag. Foam mattresses deform according to the weight of the sleeper and regain their original shape when the weight is removed. There is a common myth that memory foam mattresses are very soft and induce pressure points along the spine. In fact, a memory foam mattress is patterned with layers which make it firm and steady. Such a design renders it to provide the necessary support required for your body and maintain proper back posture throughout your sleep. Poor quality memory foams might collapse easily and could be prone to sagging concerns after a certain time phase. Memory foam mattresses being synthetically manufactured, use harsh compounds derived form petrochemicals. Consequently, a poorly manufactured memory foam mattress might cause respiratory problems/breathing difficulties. As a final verdict, I would like to say that you can only choose one out of the two based on your personal priorities. I mean, if you prefer factors like environment friendliness and cost-effectiveness more than optimal back pain relief, a coir mattress might be your pick. Also, back pain sufferers who are sensitive or allergic to foam mattress could prefer this natural non-toxic bedding (Coir mattress) for a better night’s sleep. Side note: You must know that wool, foam, or cotton must always be fused with a coir mattress to enhance comfort and durability factors. On the other hand, Orthopedic doctors highly recommend foam mattresses to individuals with back pain. A layer of rich memory foam overlain on a firm base makes it ideal for back pain bearers. A medium firm mattress is a perfect choice to minimize back pain. This means the ideal one should neither be too firm nor too soft. Also, you are recommended to maintain your mattress well by rotating it after every 6 months. Bear in mind, each mattress is distinct in its own way. Try to go for the mattress according to your specific needs and try it out for a couple of days to check if your pain is minimized. 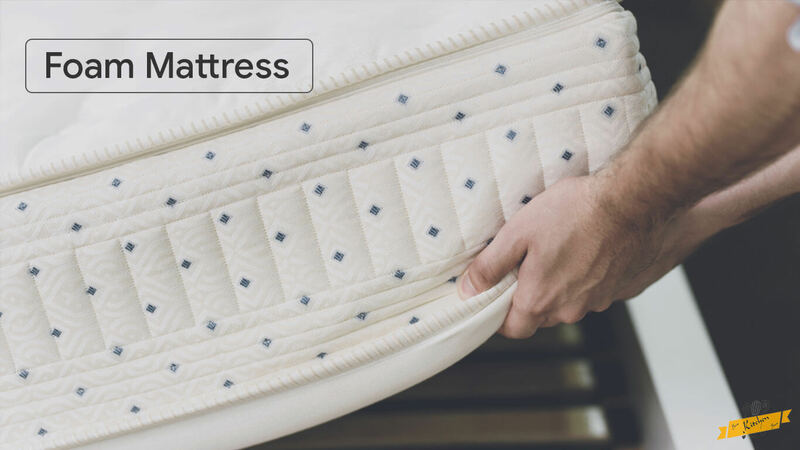 Many sellers sell mattresses with the benefit of a trial period option. And after that, you could decide on which one to finally go for.